The budget Gov. 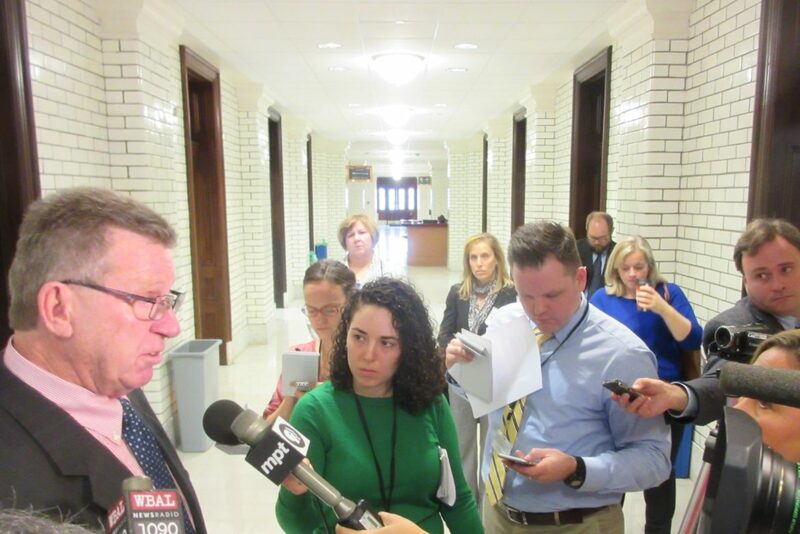 Hogan rolled out Wednesday is short on mandatory funding increases for workers serving Marylanders with developmental disabilities — putting providers in direct competition with fast food chains, said Senate Finance Chair Thomas “Mac” Middleton in a press briefing Wednesday. Hogan’s budget cuts the mandatory 3.5% wage hike to the Developmental Disabilities Administration to 2%. The legislature needs to make up the 1.5% reduction before the end of the session, said Middleton, a long-time advocate for DDA caregivers. This is the second skirmish with the Hogan administration over funding the 3.5% minimum. In 2015, the new administration tried to cut the increase in half but the mandatory funding was restored by the legislature in the Budget Reconciliation and Financing Act of that year. Maryland’s 2014 minimum wage law included the mandatory increase to ensure the reimbursement rate maintained wages above the minimum wage. Middleton, D-Charles, who crafted the legislation, said Maryland was the first state to tie reimbursements to a minimum wage. The mandatory increases expire in FY 2019. Hogan’s budget provides $22 million, considerably short of the nearly $36 million needed to comply with statute, said Laura Howell, executive director of the Maryland Association of Community Services, a group that advocates for care givers serving Marylanders with developmental disabilities. Currently there are 180 organizations providing direct support services in Maryland that depend on the annual increases to ensure wages keep pace with inflation, Howell said. She said the percentage of wages above the minimum wage fell from 69% in 2006 to 25% in 2016. Middleton said providers were already experiencing high turnover rates because of low wages and losing considerable investments in training and vetting applicants, leaving vacancies in the workforce and increasing the cost of overtime pay. He said if the trend continues care workers will be at parity with unskilled labor when the minimum wage reaches $10.10 in 2018.